The value of education transcends your lifetime. We can think about Plato, Albert Einstein, or St. Thomas Aquinas, as among the many prominent and learned people in the past who, after centuries since they’ve passed on, have still continued to influence us today. You may not end up in the same pedestal as theirs, but your learning can always make a positive impact, especially in being a good example to your children. As advocates for Child Education International, we value every parent’s role in influencing their child’s future endeavors, especially with their love for education. In many families where parents find it hard to finish schooling, there’s a great tendency for their children to follow their footsteps, thus, keeping them in the cycle of poverty for a lifetime. However, with good education, that child can find the strength and means to break free from the shackle of poverty. There’s always a strong reason behind manifestations of lack of motivation. Identify what your child may be hesitating or fearful about so that you can help them find ways of overcoming these. Knowing the real reason can also keep you from pressuring your child unnecessarily. Between parents and children, nothing is ever more strengthening of relationships than quality communication. Establish good communication with your child, such as assuring them that you’re there to listen, or expressing your love and support as often as possible. This can help them to open up with you. As parents, you know how your child typically reacts to a situation and when changes happen, you can see that as a sign of trouble or progress. 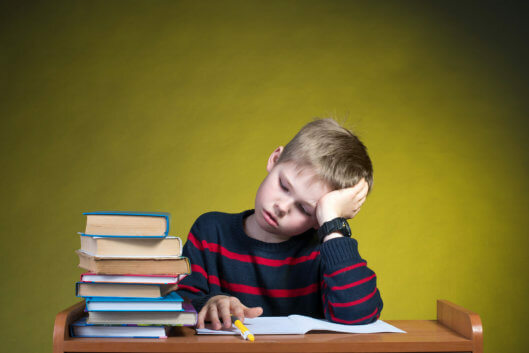 Be extra discerning when your child is lacking motivation in school as it’s possible that they show these in other aspects of their lives as well. This can give you an idea of what’s really going on with them. It also helps when you’re in speaking terms with their friends. Sometimes, when your child is hesitant about opening up on something, their friends are the more vocal about. When you have this level of familiarity with their friends, they can help you address your child’s lack of motivation. In our efforts to provide many scholarship grants to children and communities as a non-profit organization in Houston, Texas, we’re even more convinced that a child who sees the value of studying will work hard towards finishing it. You can help us continue on this work of empowering children towards a brighter future. Join our cause and be one of our donors at Chief Stephen O. Nwankwo Children’s Literacy Foundation International Incorporated. If you’d like to inquire further, contact us. This entry was posted in Child Education and tagged Education, Non-profit Organization, Scholarships. Bookmark the permalink.